Known to be amongst the largest tribes in India in terms of numbers and living close to the bustling metropolis of Mumbai – the Warli shun modern culture and live on their own terms. Their life is all about farming. They greatly respect nature and wildlife for the resources that they provide for sustenance. The characteristic style of Warli painting as we see it – was not recognised until the 1970’s, even though it is believed to date back to the 10th century A.D. This ritual art took a contemporary turn when Jivya Soma Mashe and his son Balu Mashe started to paint in this style. They painted from an artistic perspective and not a religious or cultural one. Jivya has since then come to be known as the father of modern Warli painting. 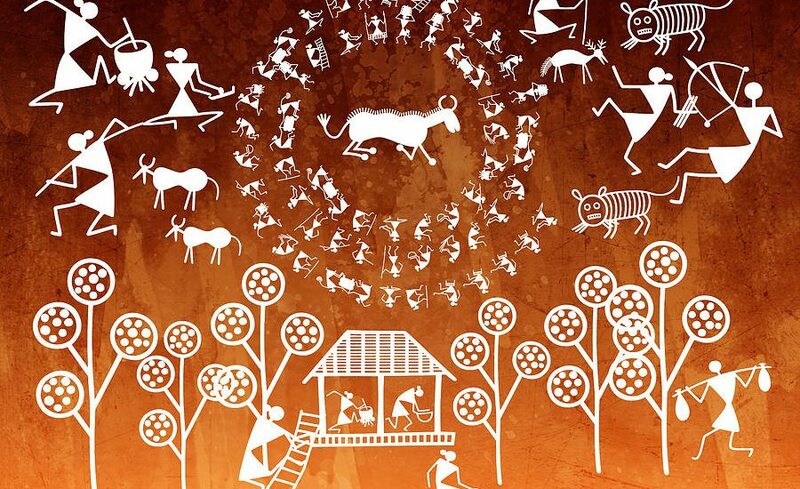 The simple pictorial language of Warli art is the result of a basic technique. The ritualistic paintings are usually created on the inside walls of village huts. The walls are made of a mix of branches, earth and red brick that result in a red ochre background for the paintings. The Warli only paint with a white pigment made from a mixture of rice paste and water, using gum as a binder. A bamboo stick is chewed at one end to give it the texture of a paintbrush. Walls are painted only to mark special occasions such as weddings or harvests. These extremely simple wall paintings use a basic graphic vocabulary – a circle, a triangle and a square. The circle drawn from nature represents the sun and the moon while the triangle is derived from mountains and pointed trees. The square indicates a sacred enclosure, the square, the “chauk”; for the mother goddess, symbolising fertility. Scenes portraying hunting, fishing and farming, festivals and dances, trees and animals surround the central motif in these paintings. 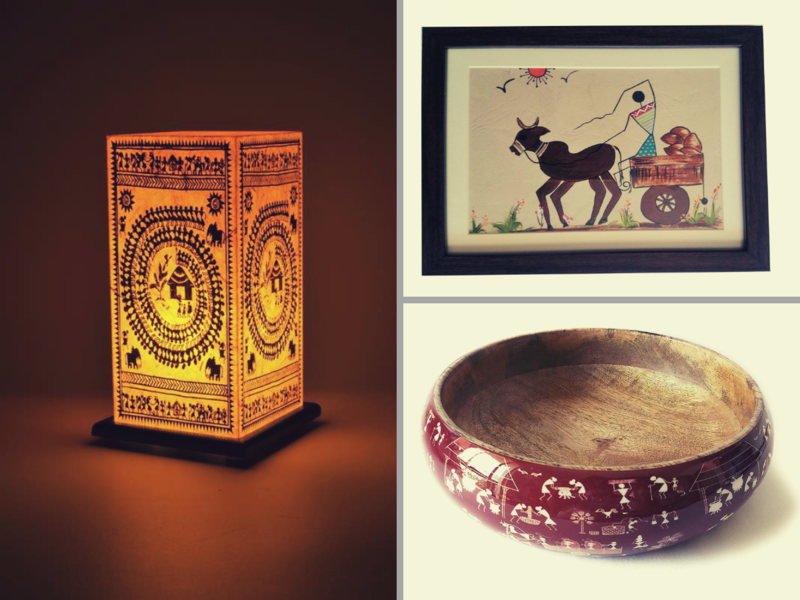 Created mostly in white with the occasional dash of red or even yellow – Warli artwork is beautifully executed and resembles pre-historic cave paintings. The motifs reflect the life and aspirations of the tribals, their sacred rituals, and the harmony between themselves and with nature. Warli artists have traditionally not used a straight line but a series of dots and dashes. However modern artists have begun to draw straight lines in their Warli art style paintings. While they still adhere to tradition – acceptance of new ideas helps them face new challenges from market demands. Artists are now painting on paper and cloth. 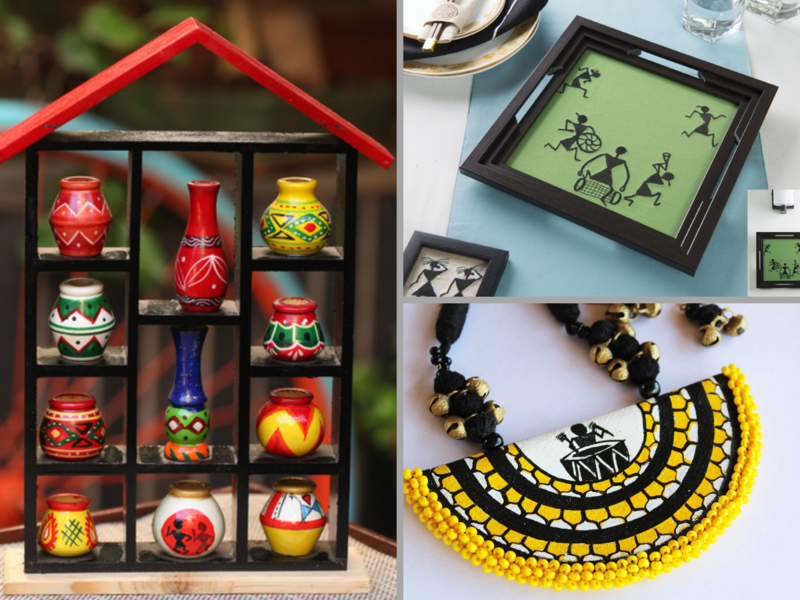 Warli motifs are also finding expression on pottery, and on lifestyle products including home décor and accessories. Warli art is however most impactful when done on walls or in the form of huge murals that bring out the magical world of the tribal people. Warli Art is now registered with a geographical indication as intellectual property. Efforts are also being made to strengthen the sustainable economy of the Warli tribe with social entrepreneurship efforts. 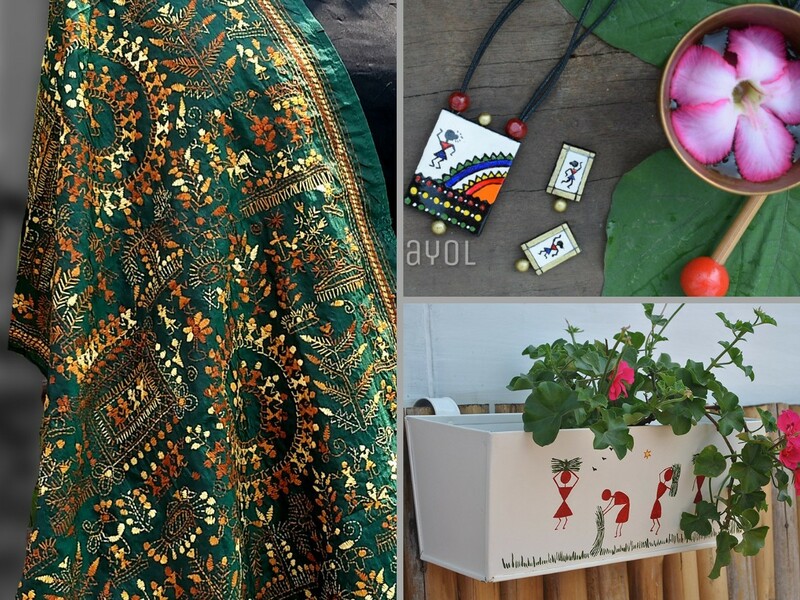 Warli art is a favourite with our artistic partners – and we invite you to explore the creative expressions of the style across wall art, home décor accents, apparel and accessories!